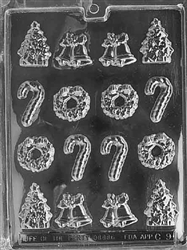 Get in the holiday spirit with our Bite Size Assortment Mold. 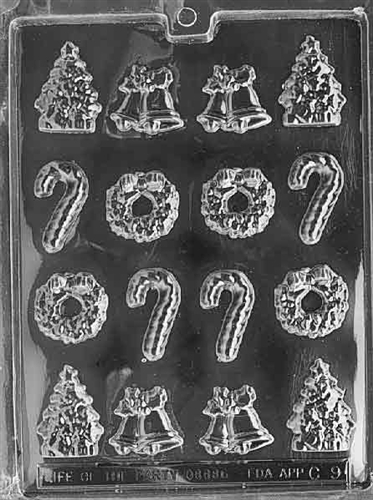 Largest piece is 1-1/8" X 2" X 1/4"
excellent size for the little ones to eat. My grandchildren love this size candy. Good quality, mini chocolate pieces, good detail, and easy to clean.